(The Hill) Democrats are promising a showdown on the Senate floor over net neutrality, betting that the issue will give Republicans headaches ahead of the midterm elections. Using an obscure procedural tactic, the Democrats are moving to force a floor vote on a resolution that would block the Federal Communications Commission (FCC) from repealing net neutrality rules. Those rules, passed under former President Obama, required internet service providers to treat all web traffic equally. The FCC’s decision last month to roll back the rules sparked a massive uproar, creating an issue that Democrats believe could prove politically potent in November. By forcing a roll call vote on protecting the rules, Democrats are hoping to redirect public outrage — especially among young voters — toward congressional Republicans. “Millennials were born into a world with a free and open internet,” Senate Minority Leader Charles Schumer (D-N.Y.) said at a press conference on Tuesday. Now, as usual, squishy Susan Collins is willing to vote with the Democrats, so, Dems would need just one more Republican to betray their voters, and freedom, in the Senate. However, there’s no way to get a simple majority in the House, so, this push is DOA from the start. Democrats would be using the Congressional Review Act, which gives lawmakers a chance to review, and kill, regulations that have just been passed. However, there have been arguments that CRA doesn’t apply, since what the FCC did was not enacting a new regulation, but rescinding one. And, this stunt could stifle the chance to pass a bill that would be a compromise from Obama’s net neutrality, putting in certain protections without all the government control. 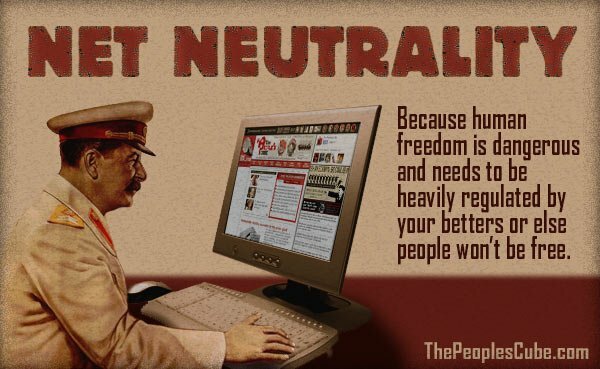 It could also mean that people take the time to learn what Net Neutrality really did, which was not good. People obtaining knowledge can be dangerous for people.